Machined from solid chunks of 6061T6 aluminum and 304 stainless steel, our hood latch assemblies are a direct replacement for your cheap stock stamped steel piece. 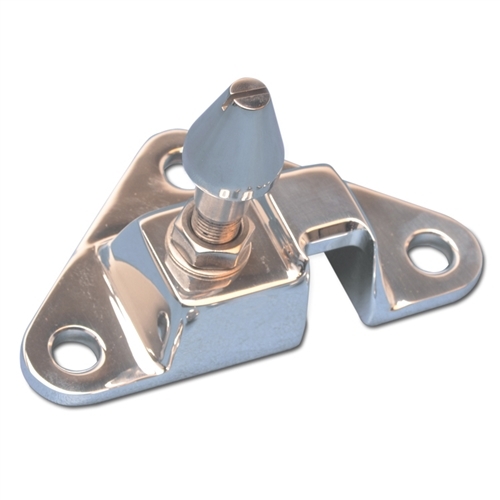 The latch kit comes complete with a billet aluminum base plate and billet stainless steel pilot bolt and retaining cup. Stainless steel fasteners and billet aluminum finishing washers are also included. Available with a raw machined or highly polished finish as well as in a variety of Fusioncoated and anodized colors.